Cisco is opening up its network to a whole world of new possibilities for customers, partners, and developers in a move that could have a profound impact on the future of IT. As part of progress towards intent-based networks that constantly learn, adapt, and protect, many more groups, including partners and developers will now be able to create new network-aware applications, IT process integrations, and products using the Cisco Network as a platform. The move could unleash a barrage of business-changing apps and integrations that allow for better operations, stronger security, and faster innovation. This next breed of designs will for the first time to able to build off the network, opening the door for concepts that we have never seen before. For instance, the Cisco channel partner Accenture has integrated the network with other systems like ServiceNow, so that when a network problem arises, a process is triggered to issue trouble tickets, provide the approvals and close – automated for the first time. This relies on Cisco's Digital Network Architecture (DNA), an open, software-driven approach to network architecture that helps firms innovate, reduce costs, and lower risk. Much, much more could be on the way. Cisco has only opened its network up to a select group of partners in the early stages. But once announced at Cisco Live, DevNet will have new learning labs and sandbox available to the more than half a million developers worldwide, said Susie Wee, Cisco DevNet Vice President and Chief Technology Officer. Many of them have been getting to grips with it for some time, since DevNet, which was set up in 2013 to help people build apps for the Internet of Things (IoT), already offers APIs, software development kits, a sandbox and other tools. But the DNA open platform is just one of many technologies of what Cisco is putting on offer. "We also have the Cisco [Catalyst®] 9000, which is programmable," says Wee. "We have ACI [the Cisco Application Centric Infrastructure]; you have programmability being built in." While endpoint OS vendors such as Apple or Google have been happy to turn their OSs over to app coders, the network has always been something of a closed box. But as businesses are more reliant on the network, this must change. Now it is open, there is no telling what might happen next. One major aim, though, is that the network intelligence will become a lot more useful to the business requirements. When networks were mainly built on hardware, it was up to vendors such as Cisco to second-guess what their customers might need. Now, network engineers and developers can leverage rich APIs for automation, analytics and security data to support business operations. Customers can go right ahead and build what they want. 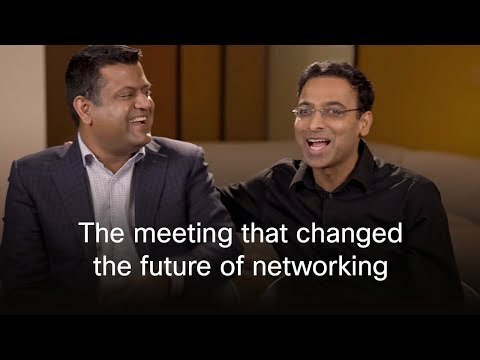 Prashanth Shenoy, vice president of Marketing, Enterprise Networks and Developer Platform at Cisco, says: "The problem we are trying to address is to connect the network a lot more strongly to the business. Cisco on its own is not going to make that happen and that is why we will leverage our half million developers, 62,000 partners and 3 million network engineers." There are already more than 100 APIs that developers can use to more easily build their own apps, and the list is growing, Shenoy says. All they need is a DNA software subscription to start changing the world.